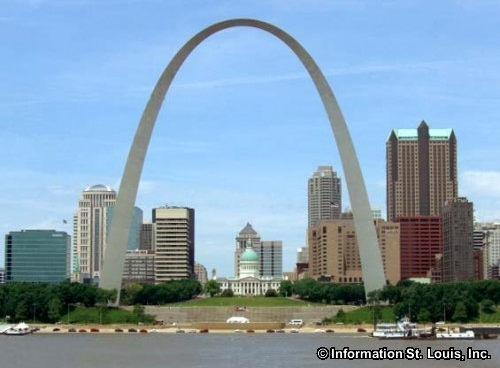 Information St. Louis, Inc provides information, news, and advertising to the St. Louis region. We help St Louis businesses and professionals “connect” with local consumers through directional and informational marketing. St Louis consumers use the Internet to get information on local news, events, places, businesses, and more. We have developed a network of Saint Louis focused websites called “Connecting St. Louis™” that is unlike any other in St Louis. The “Connecting St Louis™” website network consists of over 500 targeted websites providing information on over 10,000 topics (and growing). This includes information on communities, neighborhoods, subdivisions, schools, attractions, parks and recreation, sports, dining, shopping, entertainment, lodging, business and economy, special events, real estate and housing, bargains, deals and more. Our network casts a wide net and captures the attention of thousands of St. Louisans who visit one or more of our sites each month. They find us from search engine searches, strategic partner linking, offline marketing, and direct navigation. A typical visitor to one of our sites is looking for information. They may be on one of our directory sites looking for a St. Louis business or professional . They may be on one of our community or information sites researching an area’s schools, parks, housing etc.. In any case, they are most likely looking for information and direction in order to make a decision or to answer a question…i.e. where to go for dinner, what chiropractors are nearby, what are prices of homes in an area. Wherever it applies, we provide information on you and your business and direct the consumer to you. A restaurant in Kirkwood Missouri wants to reach diners in Kirkwood and surrounding areas. They choose to be the primary sponsor and promote their dining to the local community on the Kirkwood targeted site 63122.com. Additionally they are found on 63119.com, 63021.com, 63126.com as well as a featured listing on DineStLouis.com. A downtown hotel wants reach out-of-town visitors who are looking for a place to stay when they visit Saint Louis. The hotel sponsors content on AboutStLouis.com and used STLDowntown.com as a second site to promote their hotel to web visitors. An insurance agent in St Peters wants to reach homeowners in Saint Peters sponsors 63376.com and is featured on StLouisAgent.com as the go to agent in Saint Peters. A Creve Coeur dentist can be found on 63141.com, 63146.com, 63132.com, 63043.com, STLDentist.com, and StLouisOrthodontists.com. Our advertising and marketing is extremely cost effective. Joining our network costs as little as $97.00 a month (with no long-term contract). Every member gets a featured listing with priority placement (that includes a link to a landing page). The featured listing is targeted and promoted across multiple websites. Members also have the option (at additional fees) to increase their marketing exposure with customized landing pages, targeted text and image advertising, premium domain rental, established website sponsorships and more.